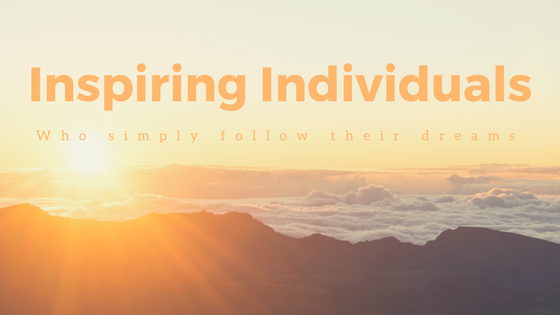 This is the third and latest post in my series all about 'Inspiring Individuals.' In this particular post, I will be focusing on one of my good friends, from my University days. Through the years, we shared some great times. Playing in the same successful football team and enjoying some similar past times, as well as being part of a wider friendship group. May I introduce Graham Clarke. Recognising and featuring Inspiring Individuals, who go out of there way in order to do something different and achieve their goals. In 2018 I will be walking my way to achieving 1000 miles. It is just 2.74 miles a day. So get involved and make a difference. What does Music mean to you? Finding the harmonious balance between good music and the Great Outdoors. Encouraging others to share the same vison and passion as me. How to manage a Blog around a Full Time job. For the majority of blogger types out there, working full-time on your blog is pretty much the normal state of affairs, with many using it as a full-time venture, career and job. Some are lucky enough to travel the world, work with brands, tell a great story and develop inspiring content, others do all of the same and yet produce complete rubbish. As the new year rolls on, there is a always a distinct possibility of falling back into bad habits. Around Christmas and New Year many people (including myself) set themselves targets about what they would like to achieve during the year ahead and as soon as they have started, they end up giving up and reverting back to the norm. Typical Dutch. A route to work. I write this blog post on the particular day, commonly reffered to as 'Blue Monday'. When countries in the Northern Hemisphere often see it as the most depressing day of the year. Of course, as I look out the window, yet again the morning sky is grey and the view set before me isn't the most inspiring, but among that gloomy scene, I have to be thankful that I've already biked to work this morning and hopefully will start the day in a positive frame of mind. As a result, I remain sceptical and really believe that the so called January Blues or infact Blue Monday, is really just a personal thing, with negativity simply feeding negativity and people using it as a vehicle to perhaps just wallow in a moment of self pity. With those thoughts in mind, I have continued to develop a positive outlook and approach to the many things I do. As a result, I have again set some personal goals for this year and I'm delighted to say that I'm sticking to them. Whether that is through my photography, cycling or running. If I firstly look back to last year. I decided after much deliberation to take the leap of faith and ditch motorised transport and opted to cycle to work instead. At first it seemed like one of my many crazy ideas, but completing a round trip of 16 miles each way, for 5 days a week was actually the best thing I have ever done. Especially, for both my body and mind. Establishing, my new found freedom meant that eventually my total commute allowed me to complete a total of 5,546 miles for the whole year, achieving what I set out to do, as I initially focused on the target of completing 5,000 miles. So, by the end of 2016 I'd reached a significant milestone and of course felt good for doing so. This year I feel determined to follow in the same vain, with significantly high levels of commitment and enthusiasm for the task. I want to maintain a positive approach and continue to achieve the most I can. Therefore cycling for purpose, commuting to work, making a difference to myself and of course keeping fit remains an important part of my life. To maintain that positive frame of mind I want to share some of my possible tips or tricks in order to hopefully motivate others to achieve personal goals, that will allow you to adopt and adapt them to almost anything you decide to do. Always have a purpose... a GOAL. It really doesn't matter what you do, I have many hobbies, with so many options, but you have to have a purpose for doing what you do. That might mean establishing a goal to achieve something throughout your ventures, or perhaps a goal at the very end. Just remember that lack of motivation often comes from running out of ideas or reasons as to why you are completing your desired goal. In my opinion the biggest failing is not having a purpose, so make sure it is your primary goal and develop a greater understanding that the outcome might not make you perfect, but it will motivate you to do even more. It's a marathon and not a sprint. In the past I have learnt from my mistakes and I have certainly been prone to not pacing myself. Trying to achieve a lot, very quickly would certainly be the ideal, but in reality there is the possibility of burn out or lack of interest in what you are trying to achieve. From my own mistakes, I have certainly learnt the hard way and understood a lot about myself , my skills and the things I need to improve over time. Therefore the word 'consistency' has become ever more present within my vocabulary. Putting your desired goals into practice might not be so easy, but the rewards will be there to be seen. It could adopted into a variety of habits like pacing yourself during your runs, so that the training is often consistently slow and steady, cycling at a steady pace and avoiding injury or burn out, or consistently fueling your body with the correct types of foods. Again one of my failings and many others is generally not being realistic. I have many hobbies and have a great deal of passion for a wide variety of things. In my eyes I want to be good at them all, whether that is my photography or perhaps my sporting pursuits, but in reality you do have to except (however hard) that you are not going to be good at everything. True, I want to be a better cyclist, runner and photgrapher, but things don't just happen overnight and I believe it all come back to maintaining an appropriate and level of realism. Of course my dreams are big and it is important to have them, although the desired goal doesn't come without the knocks. They often say a person is shaped by how they cope with the knock-backs or disappointments in life. If you don't like disappointment then your threshold for coping will probably be low. If you come to terms with the negatives and earn to turn them into positives then you are probably moving in the right direction. I'm personally motivated by people who make a difference and over the years I have met many wonderful people who focus on something and make a difference. Whether it is to their own lives or others, they put themself out there and make things happen. That is pretty admirable and something I look up to and set my realisic approach to something similar. Throughtout January and the year ahead I will continue to keep cycling, I'm running more too and I will also endevour to try and make my photography that little bit more appealing, professional looking and seeking a slightly different viewpoint, in order to create new content. I'm under no illusion that this will not be easy, but I always set my sights high. I also have the deisre and the perseverance to make things happen and will always feel better for doing so, in the hope of achieving something positive. 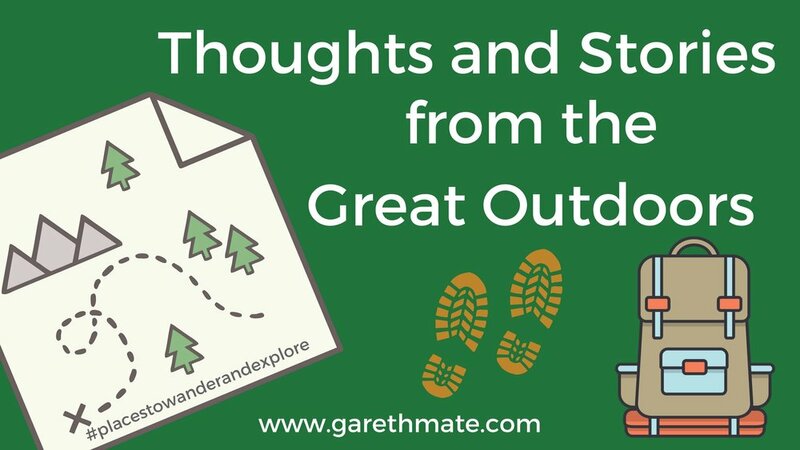 My blogs are also evolving and I want them to continue getting better throughout the year ahead. Again, I'm no expert, I just like writing and sharing my thoughts, travels, hope and dreams. As a result I don't want to sound like I know better than others, I don't, I'm just an aveage guy, who is still seeking the answers, as much as everyone else. Therefore I'm continually motivated and inspired by others and with that want to achieve and experience, as much as possible in the short time I have on this earth. If you like this blog feel free to comment and share. It would be really fulfilling if you to could share your comments and thoughts with me, as a vehicle to hopefully inspire me and others to achieve great things in 2017. Good luck with all that you do and remember with each and every little step, greater things can be achieved. Thank you for taking the time to read my thoughts. I really appreciate any time spent reading my musings. All images are taken on my Smartphone.